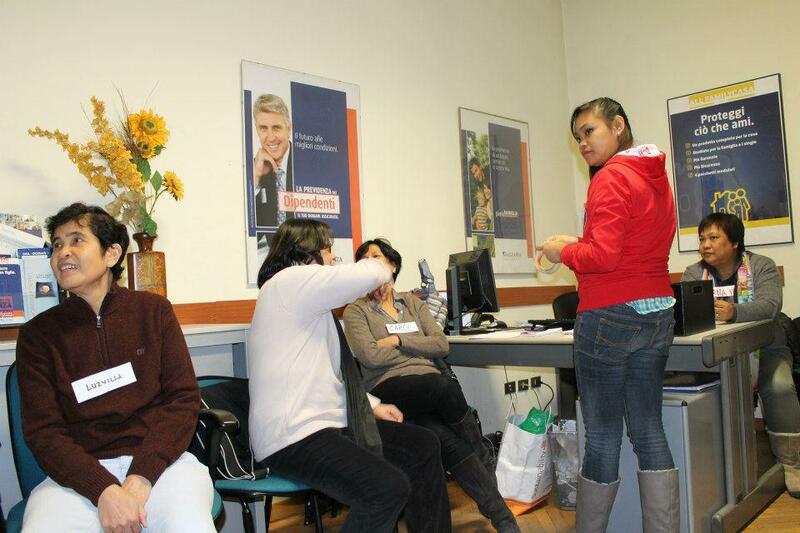 A group of 21 leaders coming from Padova, Turin and Milan gathered at Piazzale Susa, 1-Milan Italy last February 17,2013 to attend the ―TEAM BUILDING SEMINAR facilitated by Ms. Carol Medel-Anonuevo from Hamburg Germany the Deputy Director of UNESCO of Life-Long Learning. The seminar was opened with a prayer and the Philippine National Anthem. The speaker distributed pieces of papers and asked all the participants to write down their expectations and different motivations why they have chosen to waste their precious time attending the seminar instead of staying at home and relax. Everybody was excited especially when the answers were read one by one. They even tried to guess who‘s written certain ideas. Well, there was one thing that came out as common to all that is ―CURIOSITY . We were actually curious on how to acquire knowledge to become an effective leader and at the same time bring out the common interest of everyone in the community and organize profitable and developmental activities. 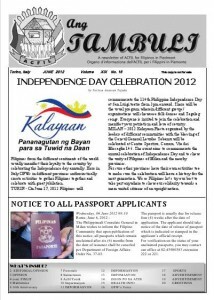 Pinapasalamatan po natin nang lubos ang ating mga volunteers, contributors at authors na nagbigay ng kanilang mga articles ng libre para makapagshare ng information, makapag-empower at makapagpasaya sa ating mga readers. Maraming salamat po sa mga sumusunod; dahil sa inyo naging successful tayo sa loob ng dalawang taon. 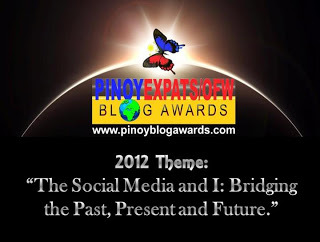 Social Media, the rebirth of blogging for Pinoy Expats and OFWs OFWs clamour for an aginaldo or a Christmas present was realized because of their active presence on the social media particularly on facebook with regards to the issue on Philhealth’s mandatory increase of its members’ contribution. 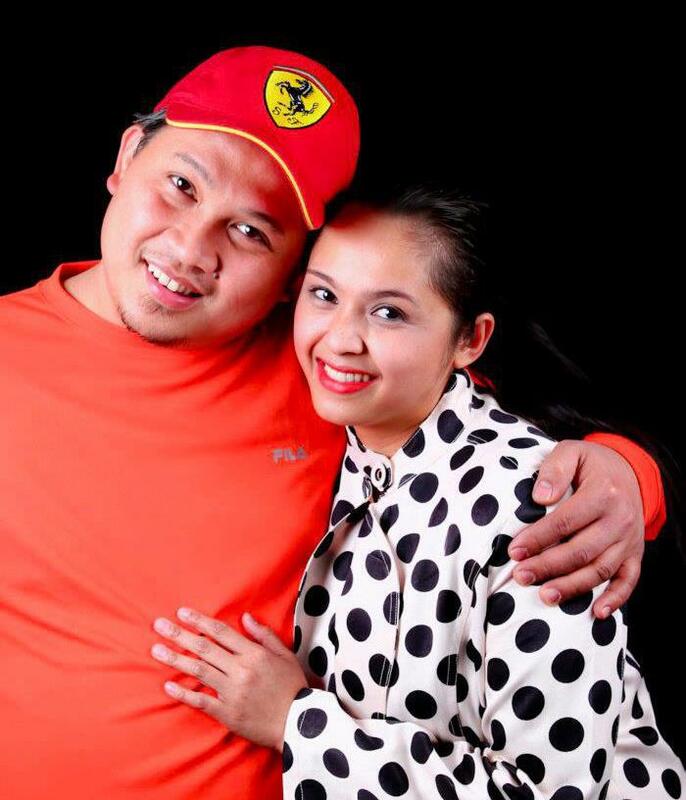 Although it was not the first of the few victories that OFWs has achieved with their online campaign, but for the Pinoy Expats/OFW Blog Awards or PEBA it is an affirmation that they are being heard and listened to by the government. It is also a fitting tribute as PEBA celebrates its 5th Annual International Blog and Photo Award. Halloween and All Souls Day in the U.S.
Daisy Sanchez, third from left, is surrounded by admirers after winning the DARE TO BARE 2012 title in Maria Amor’s yearly Halloween event held at the Phoenicia Restaurant in Glendale. Traditionally intended for trick-or-treating kids, Halloween has since evolved into an $8-billion business that some 170 million Americans indulged with revelry today. Photo by Dionesio. Grava. Halloween is supposed to be kid stuff, a season for tiny ghouls and myriad other costumed characters in teen parties or gathering sweets in the neighborhood. Some houses transform their front spaces into instant cemeteries and horror houses for business abound. Corporate America being what it is, the day has evolved into yet another major excuse for enticing the populace to make a beehive to the malls and specialty stores. 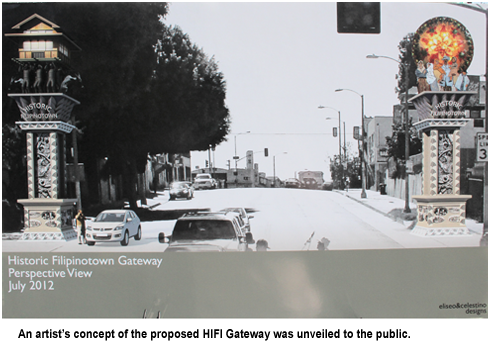 LOS ANGELES — Saturday, August 4, marked the 10th anniversary of the designation of Historic Filipinotown (HIFI) in Los Angeles. 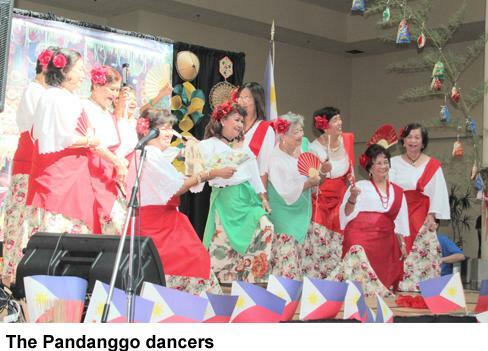 Celebrations kicked off with the 7:30 am sixth annual HIFI Festival and 5k Run/Walk overseen by the Historic Filipinotown Neighborhood Council (HIFINC). 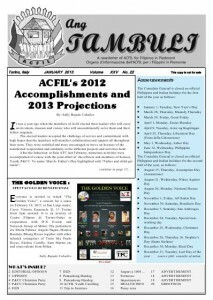 Get a copy of the June 2012 issue of Ang Tambuli from this link ACFIL-s-Ang-Tambuli-June-2012-Newsletter. 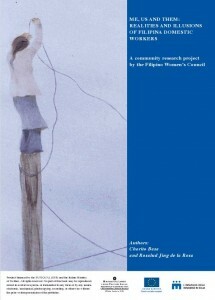 The United Nations International Research and Training Institute for the Advancement of Women promotes applied research on gender, facilitates information sharing, and supports capacity-building through networking mechanisms and multi-stakeholder partnerships with UN agencies, governments, academia and civil society. 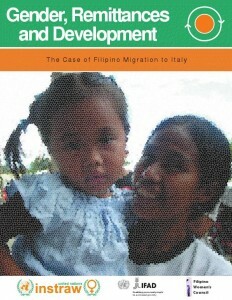 (2008) This study was prepared with the aid of a grant from the International Fund for Agricultural Development (IFAD). 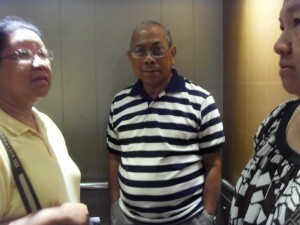 With my wife Marilyn (left) and sister-in-law Lericita in an elevator of Dorsett Far East hotel where we stayed. Three days in Hong Kong was not enough to see how people lived there, but our sojourn gave me at least an inkling of how hurried and harried life was for most of the estimated seven million people in the former Crown Colony. If our tour guides were a gauge, I could feel that they run their lives like they were running business enterprises. 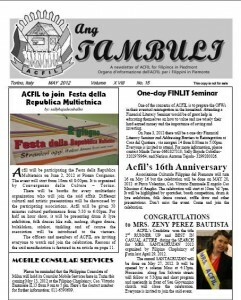 Get a copy of the May 2012 issue of Ang Tambuli from this link ACFIL-s-Ang-Tambuli-May-2012-Newsletter. 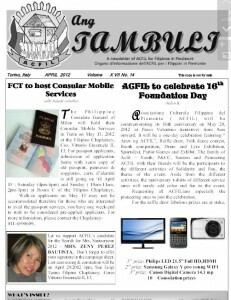 Get a copy of the April 2012 issue of Ang Tambuli from this link ACFIL-s-Ang-Tambuli-April-2012-Newsletter. I would like to share an article I wrote in Riyadh when i was 19yrs. That was 10 years ago and it was my first drop here in Riyadh. I thought I would never ever cope up with the Saudi life. Now, it seems like leaving this place means to suffer myself from losing the lighter pace of life.